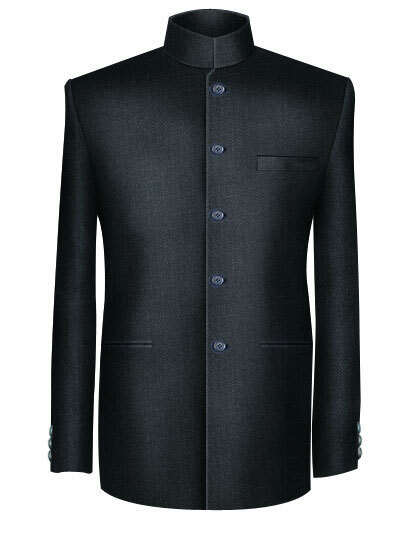 The classic Jodhpuri Bandgala has a closed (band) two hook collar and a straight cut at the lower half. 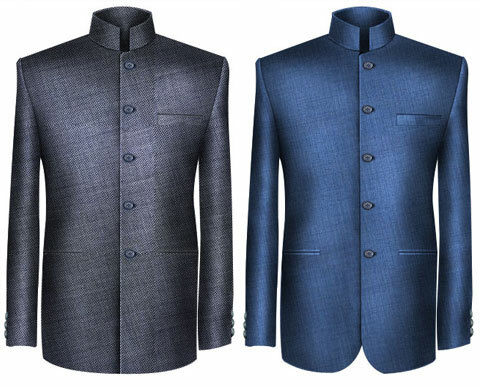 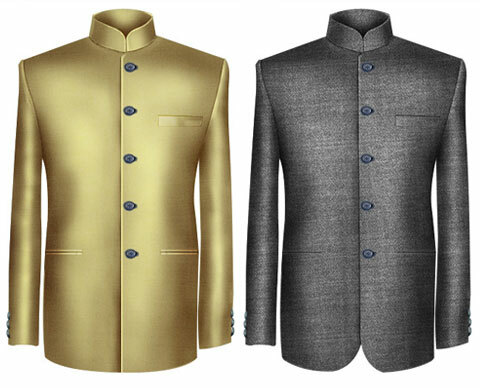 Known for its stylish cut, The Bandgala is an Indian formal evening suit suitable for various occasions. 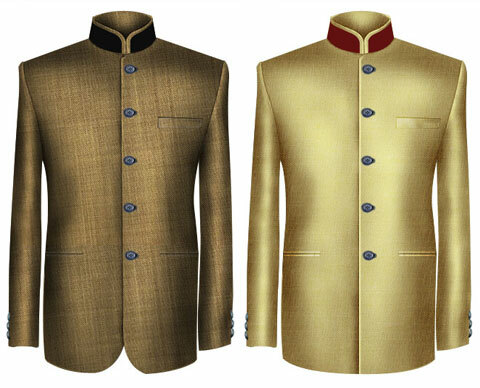 In the recent years The Bandgala has gained popularity in many western countries. 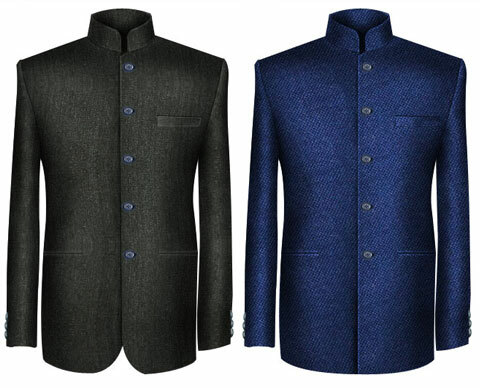 It can be worn in combination with breeches or trouser, complemented by neck scarf, pocket square and gold/silver buttons.